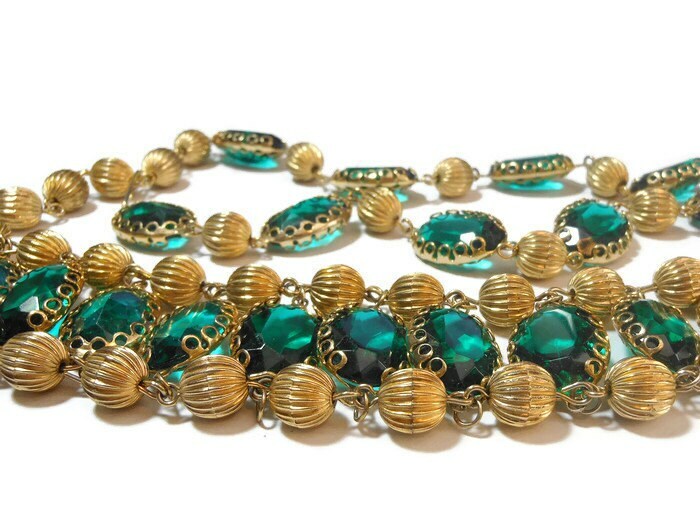 Coro Pegasus choker and bracelet set, faceted emerald green glass link necklace and fluted double strand ladder bracelet, gold beads, 1950s. 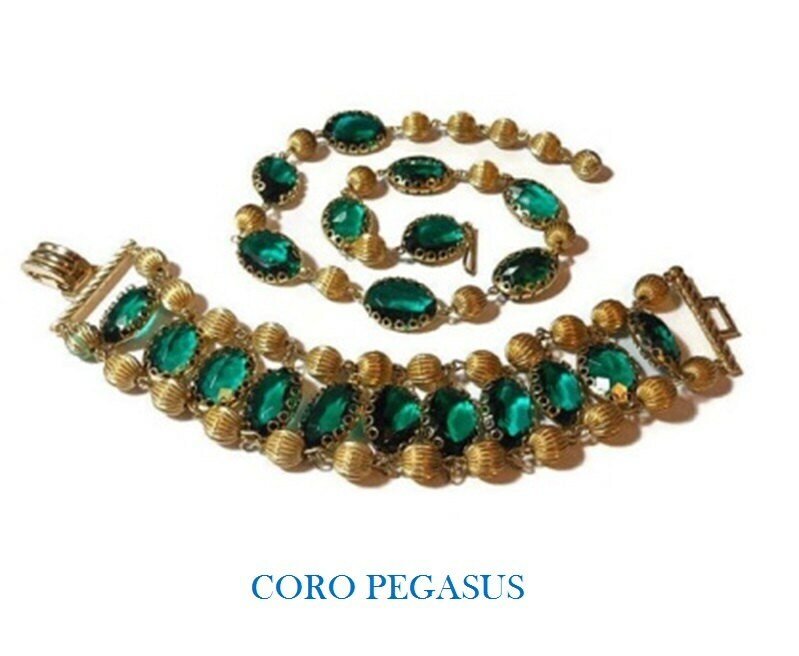 Lovely demi parure, marked Coro on the bracelet clasp with the Pegasus and below Des. Pat. Pend. This is not a set you will see coming and going. It is a unique set to add to your collection. This is pre 1955 as the copyright symbol is not present. 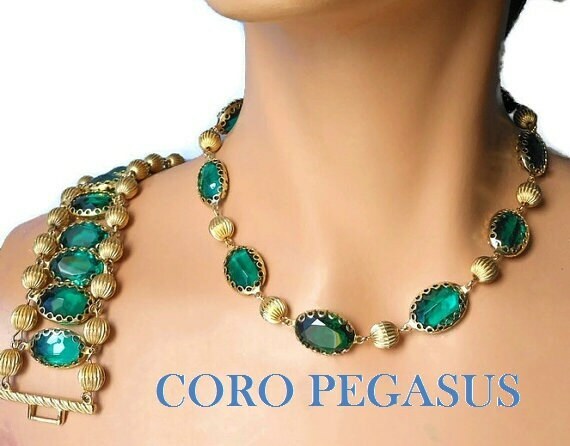 Supposedly the first instance of Coro necklace using a J hook is July 15, 1948, thus narrowing the timeline of this piece to 1948 to 1954. The necklace measures 12 1/2" (31.8 cm) with a 2 1/2" (6.4 cm) extender (not counting hook) and the bracelet measures 7 1/2" (19.1 cm) not including the clasp. 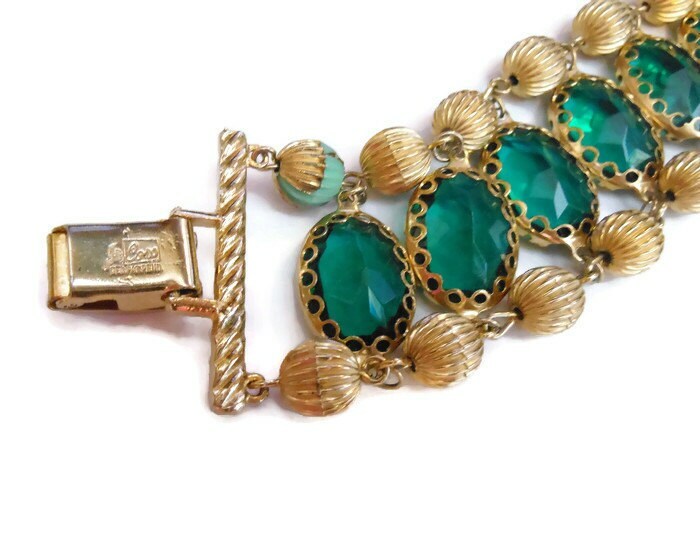 They are both in very good condition with the exception of one of the gold balls on the bracelet which has gold missing (see photo of clasp close up) and the small part of the clasp which you use to open it (still easily doable).